"Lionfish Etching Design", is Hand Screen Printed on a soft 5.5 oz. 50% Poly /50% ring spun cotton shirt. 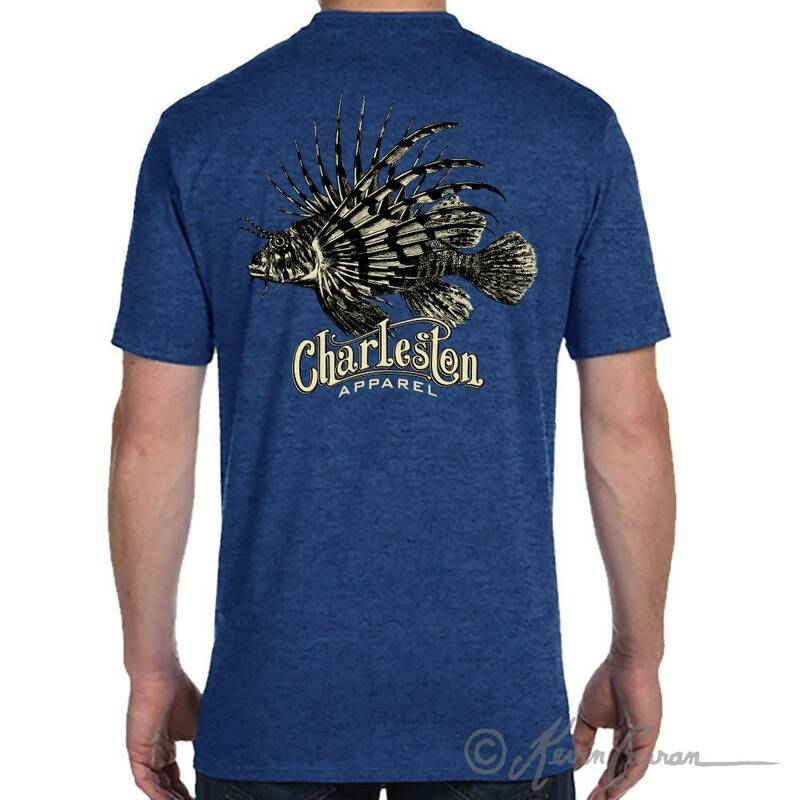 Charlestonb Apparel lionfish design on back, and our signature Shrimp design on the front. 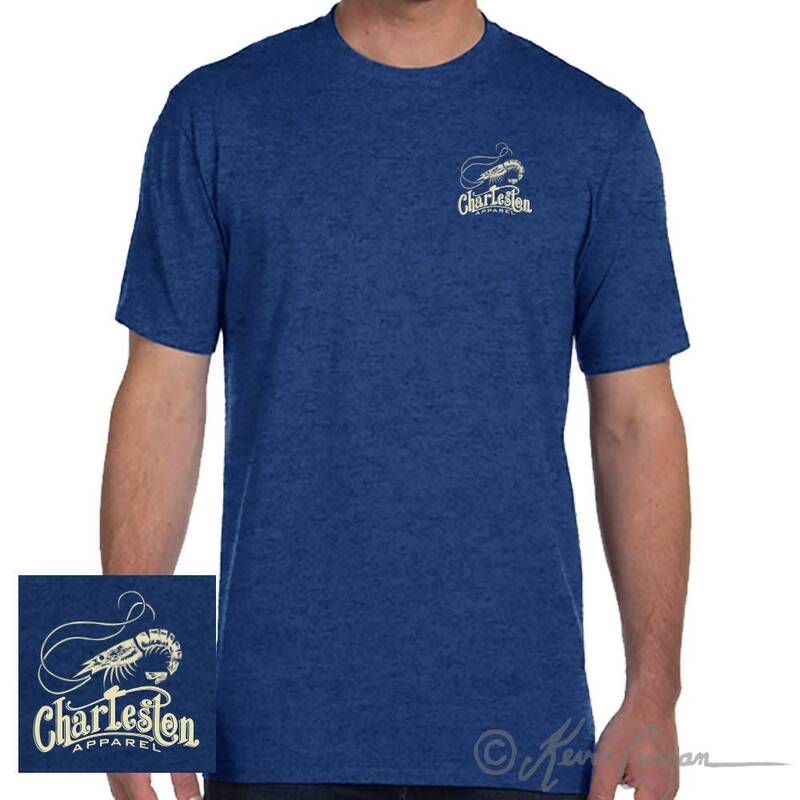 This shirt makes a great gift for any occasion, especially, Valentine's Day, Father's Day, Christmas and birthdays.